Caregiving is more than just occasionally helping another person — it’s a lifestyle, and in many cases, a full-time job. In the midst of a growing need for caregiving resources nationwide, Santa Barbara County is taking critical steps to help community members first self-identify as caregivers and then reflect on the areas in which they need support. By quantifying and visualizing caregiving, Santa Barbara County hopes to learn how their local organizations and institutions can innovate to better support community needs while inspiring similar activities across the country. The act of caregiving requires large amounts of physical, mental and emotional energy and is often a very lonely task; most people have no idea how much time, effort and commitment goes into caring for another individual. As America’s population continues to age and the cost of healthcare continues to rise, more and more patients are turning to at-home family care, creating an unprecedented need for both more caregivers and innovation around caregiving — a field that until recently has been largely unstudied and thus undervalued. The daily realities of caregiving often strip caregivers of the time needed to take care of themselves. Whether it’s a lack of sleep, exercise, healthy diet, socializing with friends, or pursuing healthy hobbies, caregiving can cause a host of physical, mental and emotional health issues, especially anxiety and stress. In fact, about half of those caring for someone with a mental health issue, Alzheimer’s, dementia, or a long-term physical condition reported feeling emotional stress. The situation is also affecting more than our health — in addition to being an unpaid task, caregiving comes at a significant financial cost. In a 2016 report, AARP found that family caregivers spend an average of $6,954 on out-of-pocket costs related to caregiving per year, equaling nearly 20 percent of their annual income (or in some cases, up to 44 percent). Caregiving puts a financial strain not only on the caregivers and their families, but also on the greater community. AARP also found that of the 40 million caregivers that provided 37 billion hours of care in 2013, the total estimated economic value of uncompensated care provided by family caregivers ($470 billion) surpassed the total Medicaid spending ($449 billion) and nearly equaled the annual sales of the four largest U.S. tech companies combined ($469 billion). Whether it’s for a parent, spouse, partner, child or friend, caring for another’s health is putting a dent in our own health, personal lives, finances and greater economy. What can be done to mitigate this growing crisis? One county is on a mission to find out. Spearheaded by the Santa Barbara Foundation, community stakeholders in Santa Barbara County, California are partnering with the Atlas of Caregiving to not only understand the daily realities of caregiving, but to implement realistic and effective solutions for their citizens — something that could benefit every community in America. 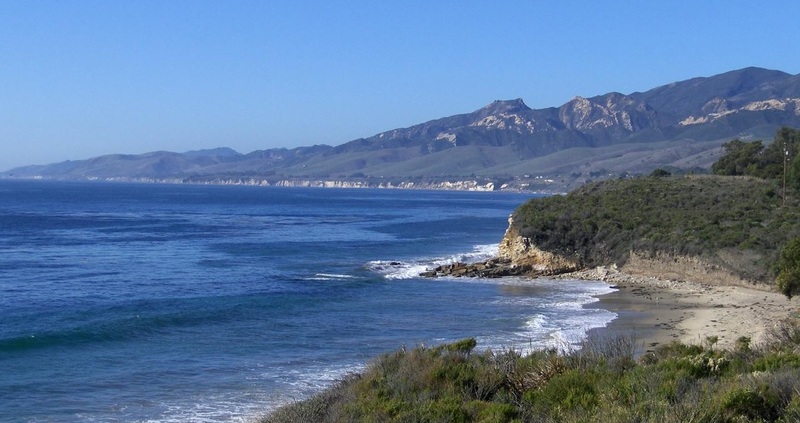 What makes Santa Barbara County unique? Today, Santa Barbara County is a paradise of paradoxes: it’s big yet small, rich yet poor, and modern yet aging. This creates a unique demographic for caregiving. Its population of caregivers is large enough to produce effective and meaningful data, yet small enough to be manageable; its socio-economic diversity offers an opportunity to find cost-efficient methods of caregiving that can be applied to all levels of income; and its increasingly aging population is ripe to learn the modern caregiving tools available to them. What’s being done in Santa Barbara has never been done before. By teaming with Atlas of Caregiving, the county is setting an example for other communities by taking a unique and bold approach to discovering caregiving solutions for its ethnically and economically diverse community. How can caregiving be studied? Atlas of Caregiving has one mission: to create a world where caregiving is valued and supported as fundamental to a healthy society. What began as an eye-opening pilot study funded by the Robert Wood Johnson Foundation (RWJF), the nation’s largest philanthropy dedicated to health, has evolved into an independent non-profit with a lofty goal: providing actionable information and relevant solutions for the tens of millions of caregivers in America. Through the generous support and collaboration of the Santa Barbara Foundation, AARP and Family Caregiver Alliance, Atlas of Caregiving is continuing to discover ground-breaking insights. Our pilot project allowed us to see the true value of our Atlas CareMaps™— a drawing that visualizes all aspects of a caregiver’s network, including who the caregiver is supporting and who is supporting them, revealing both redundant efforts and gaps in the caregiver’s own resources. During the facilitation of Atlas CareMap Workshops™, everyone from family caregivers to healthcare professionals and social workers saw the visual impact of the CareMap, using it as both a foundation for conservations and a catalyst for change. The enthusiasm was so strong that the Santa Barbara Foundation and AARP are continuing to fund further CareMap development. In addition to working with AARP to bring CareMaps to families nationwide, Atlas of Caregiving is working with the Santa Barbara Foundation’s Community Caregiving Initiative Partners to continue enhancing the tool, and with it, better understand caregiving in Santa Barbara County. Just like the county itself, Santa Barbara’s organizations are unique in their approach to caregiving: they value collaboration over competition. When it comes to providing the best services for their citizens, they know more can be accomplished together than apart. In a time where collaboration between groups is increasingly more vital to provide patients with the best healthcare, organizations in Santa Barbara County are setting a precedent and showing other communities what possibilities lie ahead. The Santa Barbara Foundation (SBF) aims to catalyze effective and positive change within Santa Barbara County. Its mission includes identifying and strategically addressing important community opportunities and needs. As the County of Santa Barbara continues changing — housing is expensive and in short supply, the Latino and senior populations are growing, wealth disparities are expanding — so must the city’s caregiving methods. Wiggins sees collaborating with the healthcare industry, and listening to the community itself, as critical. Another organization clearing a path for caregiving is Santa Barbara’s Family Service Agency (FSA), a group that since 1899 has tirelessly supported the needs of Santa Barbara’s citizens while representing the changing and increasingly complex philosophies of social service work. “The agency is there to lend a helping hand when needed, but it is also there to teach people to help themselves,” says Lisa Brabo, Executive Director of FSA. In the last couple years, caregivers and their needs have ramped up exponentially. Many don’t know there is help or support available — that’s the biggest issue. People don’t identify as caregivers and don’t know what sort of assistance there is. “Whether it’s creating more tools and resources or providing counseling and support, paying more attention to caregiving can improve the quality of life for both the person caring and the person receiving care,” Brabo says. In addition to providing input for Atlas, FSA plans to connect Atlas with caregivers interested in participating in research, as well as host future CareMap Workshops. Another Santa Barbara collaborative entity is the Santa Barbara County Education Office (SBCEO)’s Promotores Network. The network of local Latino and Spanish-speaking individuals act as trusted healthcare partners in Santa Barbara’s Latino community, a group seen as critical to the success of the community’s many health and wellness endeavors. What began as a volunteer-based network — building awareness around cancer amongst women or educating families childhood obesity — has evolved into a large-scale promoter of health education, including caregiving. They’ve recently partnered with the Santa Barbara Foundation’s Community Caregiving Initiative to develop caregiving surveys and workshops for the area’s Latino communities. There are now over 300 trained Promotores, many of whom have been trained specifically to provide unique caregiving resources such as Atlas’ CareMaps. The network has proven so effective that the state organization Visión y Compromiso (VyC) has adopted the curriculum to apply statewide. Dignity Health’s Marian Regional Hospital, for example, is getting involved in the caregiving process by developing an assessment tool for family caregivers and sending social workers to bring pampering items to caregivers. Promotores often join the workers to conduct assessments and refer caregivers to local resources. Another example is nearby community Lompoc’s new caregiving hub, complete with resources specific the needs of to local caregivers. When it comes to caregiving initiatives, the communities of Santa Barbara County are creating a precedent, setting a gold standard of what can be accomplished by joining forces and focusing on realistic results. “We’re helping our community to develop resiliency and showing the rest of the nation how when a diverse community galvanizes around issues there are great opportunities to deepen community connectedness,” says Phylene Wiggins. Through its collaborative and human-centric approach, it’s setting a national example for how translational research in caregiving can create practical and applicable solutions. And the collaboration will only continue: on April 3rd, more CareMap Workshops will launch, with the goal of further promoting self-identify, self-reliance, resiliency and awareness of available resources. On April 25th, a team from the Quantified Self community will be coming in to lead a workshop on how to self-track using wearable devices or daily journaling, which will provide further insights into research and solutions. Atlas of Caregiving is excited to continue collaborating and growing with the Santa Barbara community. Please reach out to us if you’re interested in learning more about Santa Barbara’s collaboration with Atlas.